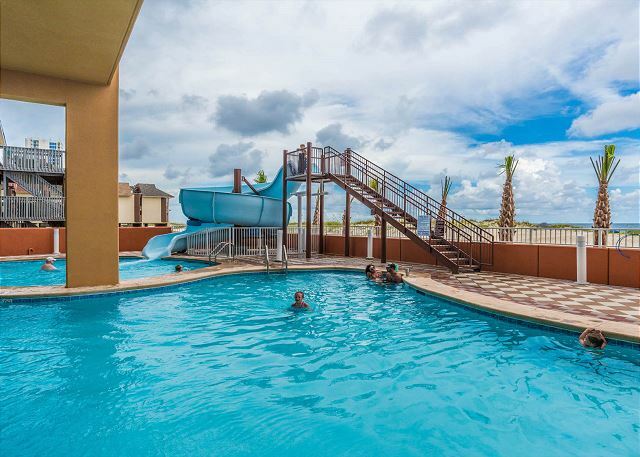 Phoenix Gulf Shores Outdoor pool with Water slide! 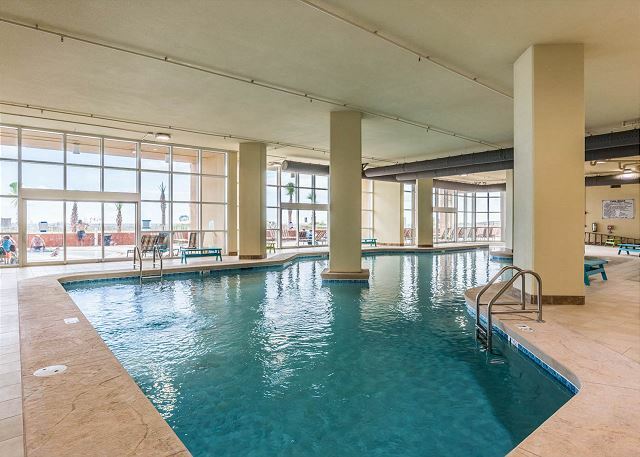 Our condo is perfectly situated on the 22nd floor directly overlooking the outdoor pool at Phoenix Gulf Shores with incredible panoramic views of the Gulf!! We also have a keyless entry door lock so you do not have to keep up with any keys during your stay! 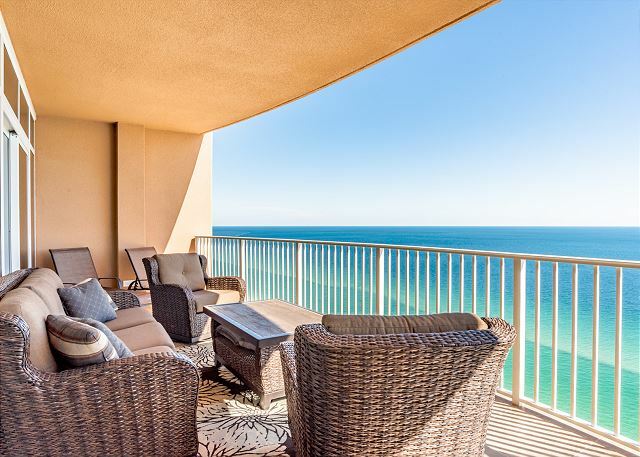 You can enjoy a spectacular view of the Gulf from the balcony or through the floor-to-ceiling windows in the unit from the Living room and Master bedroom!! With over 1,750 sq ft the unit is very spacious, newly furnished and new to the rental market!! 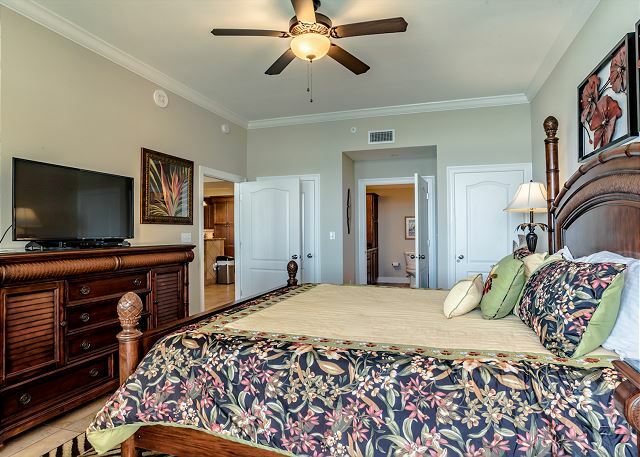 Amenities are abundant at this Phoenix Gulf Shores condo: the unit is appointed with full-size appliances, wet bar with ice maker, 65” flat screen HDTV in living room and a flat screen 43" 4K Smart TV in the master and 2nd and 3rd bedrooms. 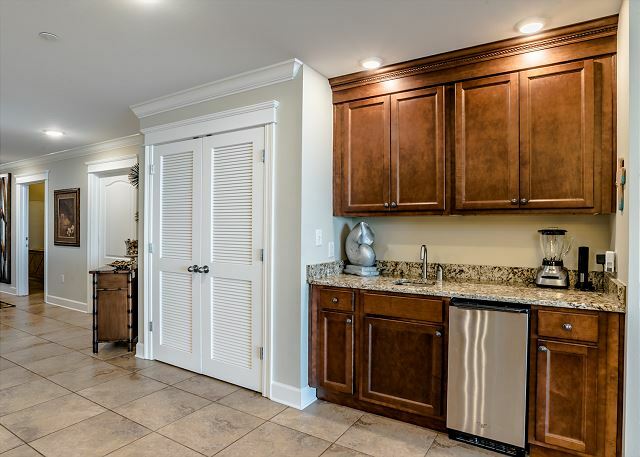 We have a laundry room with full size washer and dryer, surround sound in the Living room, plenty of dish/glass ware, toaster, blenders, regular coffee maker and a Keurig! 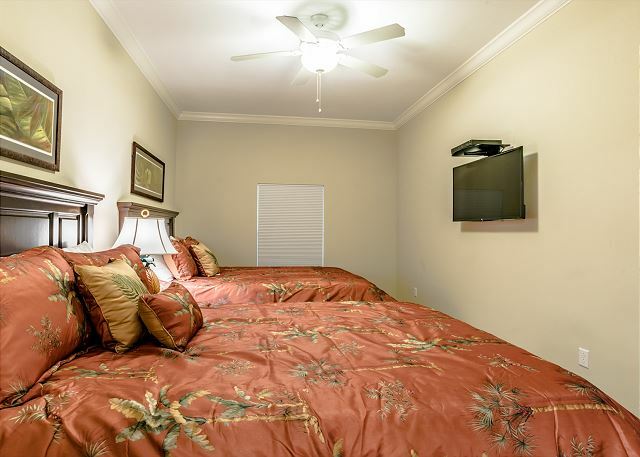 There is a King bed in the Master, a King bed in the 2nd bedroom, two Queen beds in the 3rd bedroom and a sleeper sofa in the living room. We also have a pack n play for toddlers and a blow up mattress should you need it. Great unit! 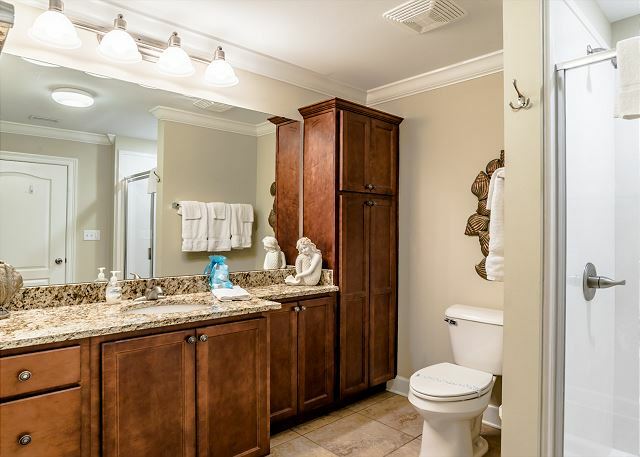 Furnished with everything that you need. The balcony furniture makes it a great spot to relax at night. 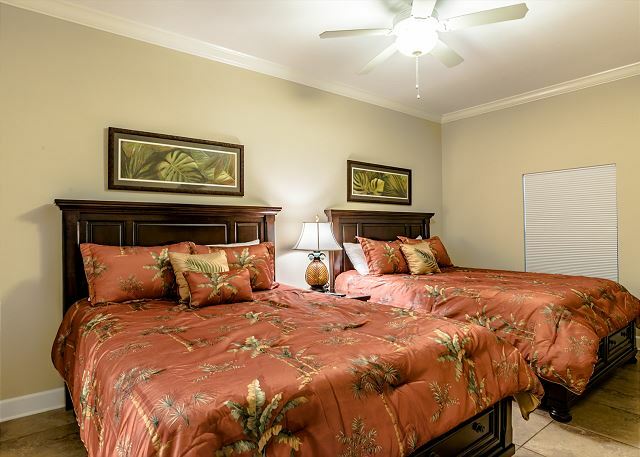 Saw some complaints about the firmness of the beds, they were very firm, but we all slept great on them. No complaints and will definitely stay in this condo again! 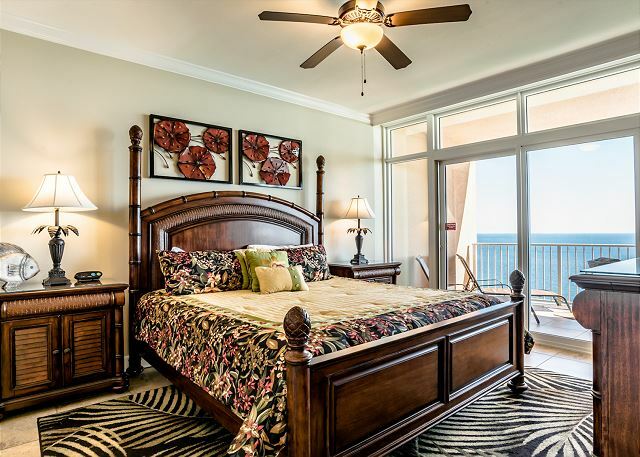 Wonderful condo on the beach! Our family stayed here for a week in September 2018. It was a last minute rental after Hurricane Florence diverted our original vacation in South Carolina. 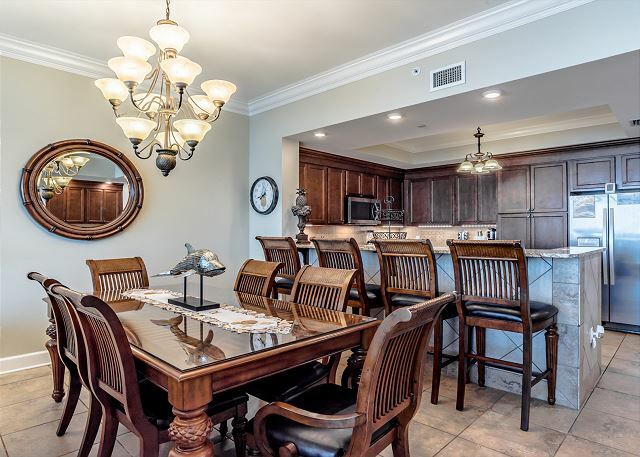 We booked within 24 hours and we were excited to find that the condo was very clean considering how quickly we had booked. 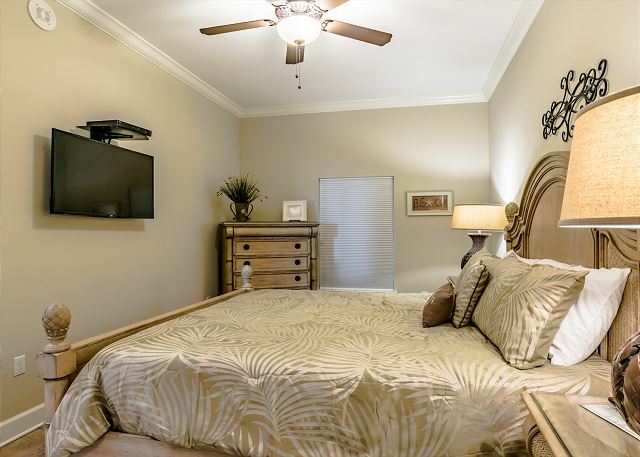 After arriving, we were surprised that the condo was available considering how beautiful and well-equipped the condo was in addition to it's convenient location close to grocery and restaurants. Pros: The view! 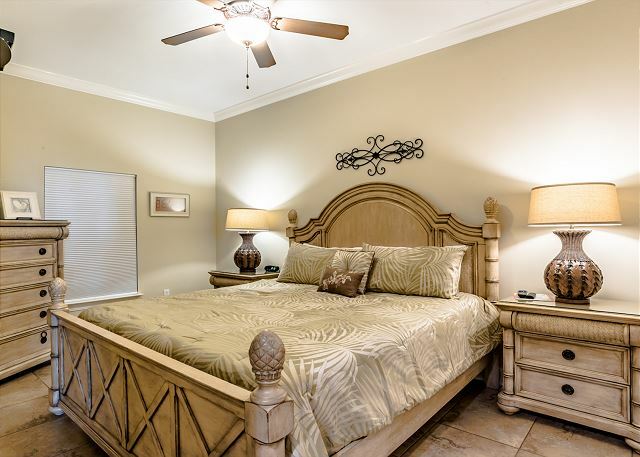 The view is absolutely stunning with a large balcony with entrances from the living room and the master bedroom. There was very comfortable furniture on the balcony and a chest that contained many children's beach toys - which was a real bonus for our toddlers. The kitchen was well-stocked, and we loved the ice machine and mini-bar. There was Netflix capabilities in every room - a huge bonus! The trash chute was conveniently located just down the hall. We were very impressed by the upkeep of the property, the walkways, the pool, everything was kept tidy throughout the day. The pool itself was perfect for small children. Our 1 year old was able to have a safe place to play in the zero entry and our 3 year old loved the slide. The beach was beautiful and clean. The key pad entry was very convenient. Cons: We had seen a previous reviewer say the beds were hard (they were) and we took a mattress topper. Thank you for your review!! We have put on mattress toppers on all the beds to make them nice and soft. Thank you again and so glad y'all had a great time!!! My family and I recently spent a week at Gulf Shores Phoenix. 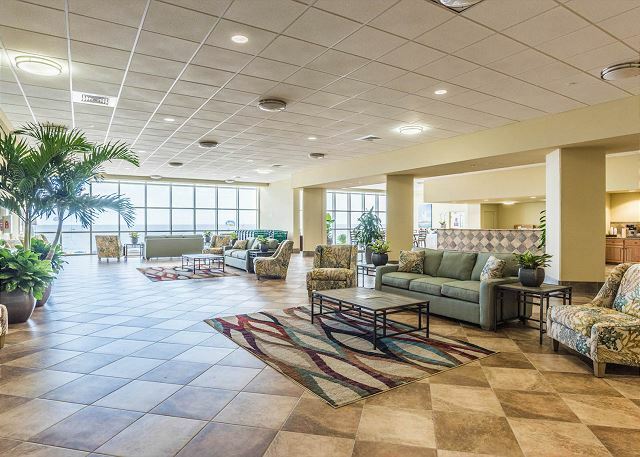 We rented condo #2202 and had a great experience. was amazing -- by far the best condo we've ever rented! 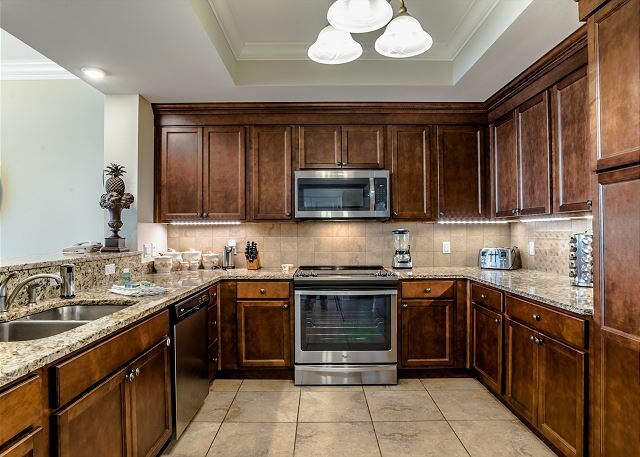 The very spacious unit provided more than ample room for our group to cook, dine, and socialize together. 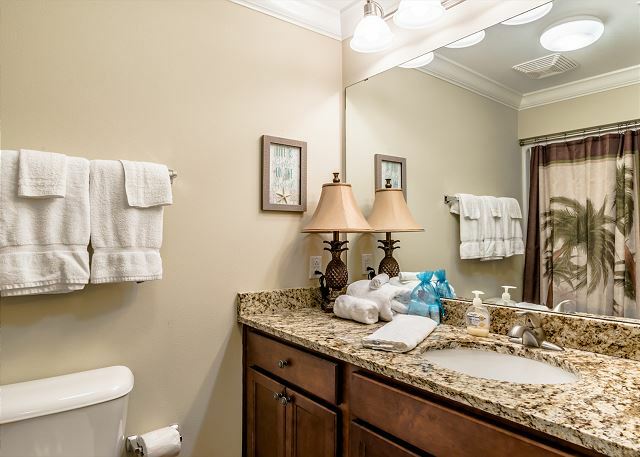 The 3 bedrooms and 3 full baths allowed all of us our privacy also. 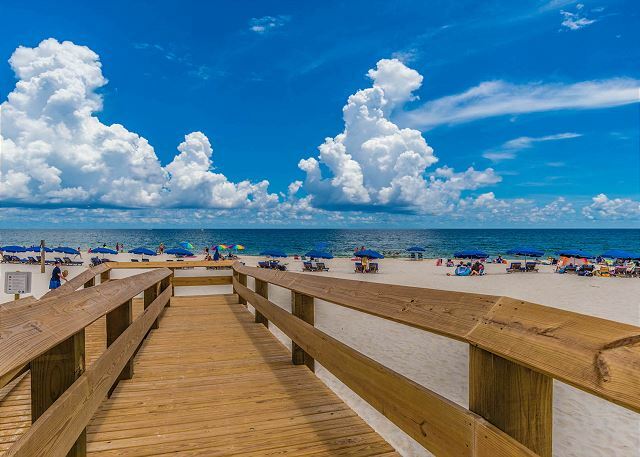 The spectacular view of the Gulf and beach was wonderful. The huge balcony was very inviting with lots of comfortable furniture. 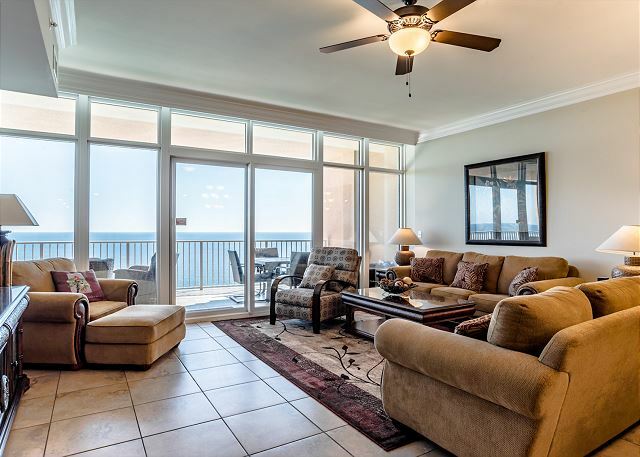 It quickly became a favorite spot for morning coffee, a quiet read, outdoor dining, a great place to watch the dolphins playing in the Gulf, and our social spot to wind down the evening. 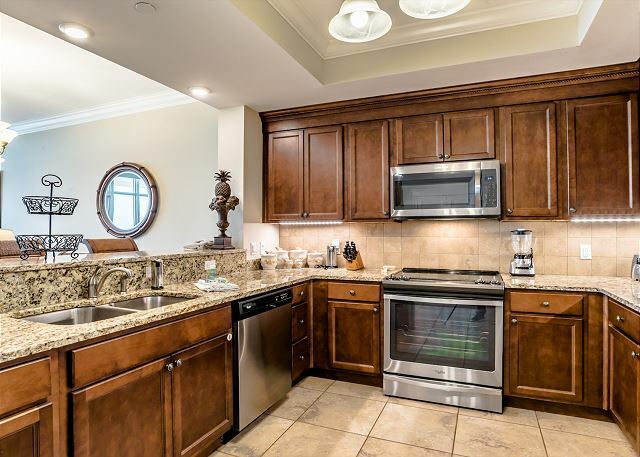 The kitchen is large enough for several cooks and is equipped with everything you could need --including a blender, a stocked spice rack, a Kuerig, and a regular coffee maker. 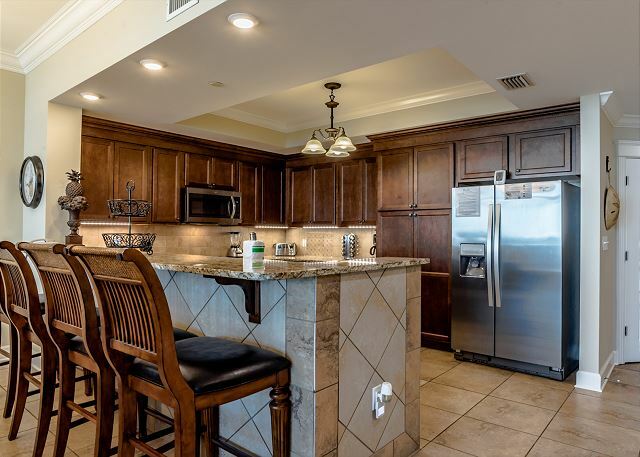 The separate bar area is equally well equipped including a second blender and it's own ice maker. 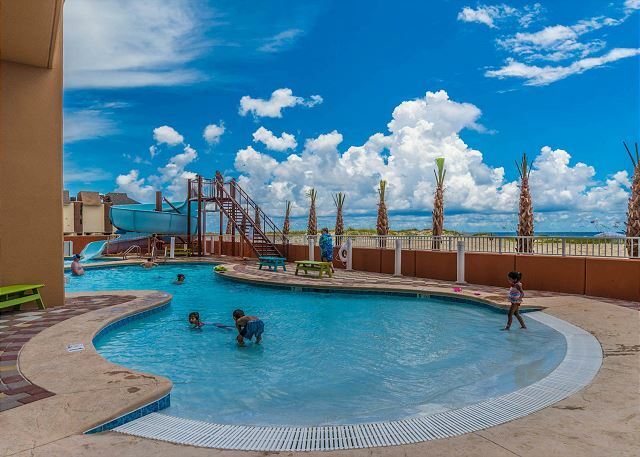 We also enjoyed the swimming pools, the huge pool decks with areas of both sun and shade, the hot tubs, and the barbecue grill. The walk in pools were perfect for our 10 month old grandson to sit and play in the water. Everyone enjoyed the spiral sliding board! 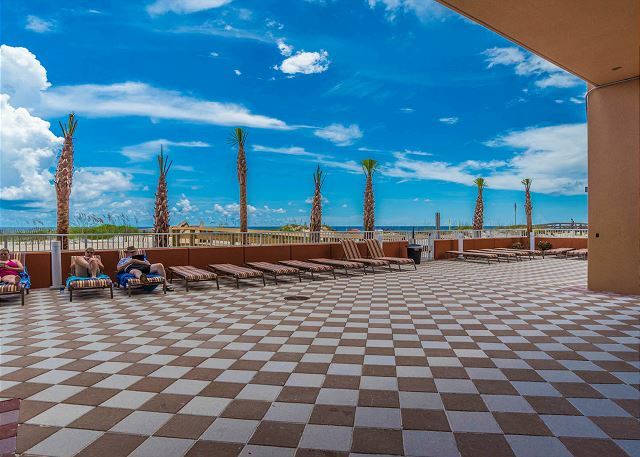 The fitness center has a wide variety of equipment and a great view of the ocean and beach. Undercover parking was also very nice. 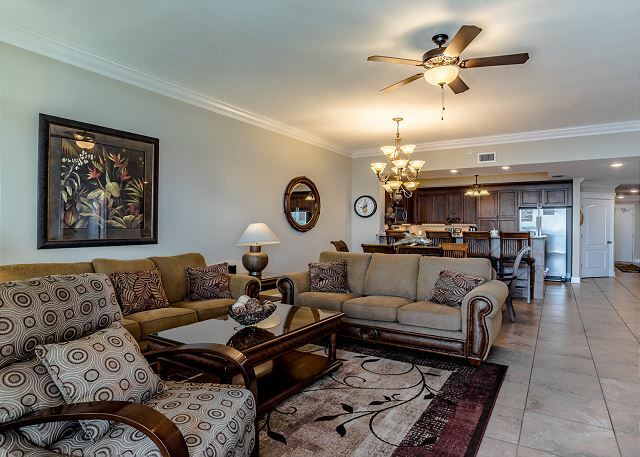 This condo is conveniently located near restaurants, entertainment, and shopping but is in a quiet setting at the same time. Our entire family enjoyed our stay in #2202 and we are talking about returning to this unit for another family vacation. The unit was awesome with a great view. Everyone enjoyed their stay. 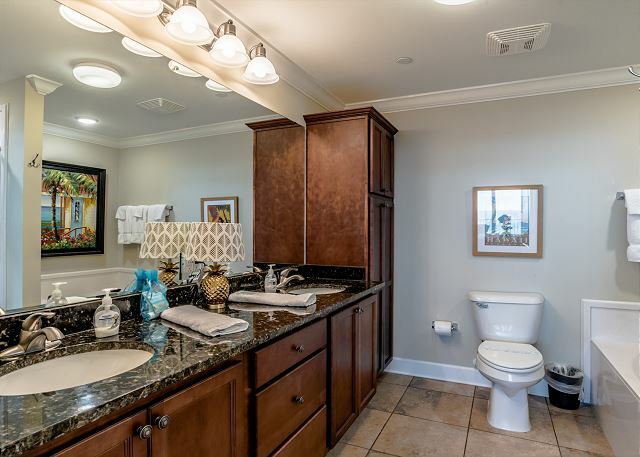 The unit and property are great. Beautifully furnished and stocked. Would stay here again if it weren't for the mattresses. These beds(all bedrooms) were like sleeping on concrete. Even went and bought a mattress topper after the 1st night to get thru the week. This is my only criticism. Other than that it is a great place to stay. Thank you for your review!! As of April, 2019 the owners have put in new mattress toppers on all the beds so they should be nice and soft now. So glad y'all had a great stay!! We vacationed for a week with our large family and we were extremely comfortable!! Condo was beautiful, clean and had everything provided that we could have ever needed!! Will be back for sure!! It was a very enjoyable week. The Condo was beautiful and very clean. The kitchen was well stocked with dishes/pans/utensils/cookware, etc. The view from the balcony was wonderful. Overlooked the ocean. First class accommodation. The kids loved the pools -- both inside and out -- especially the water slide. Great family vacation. 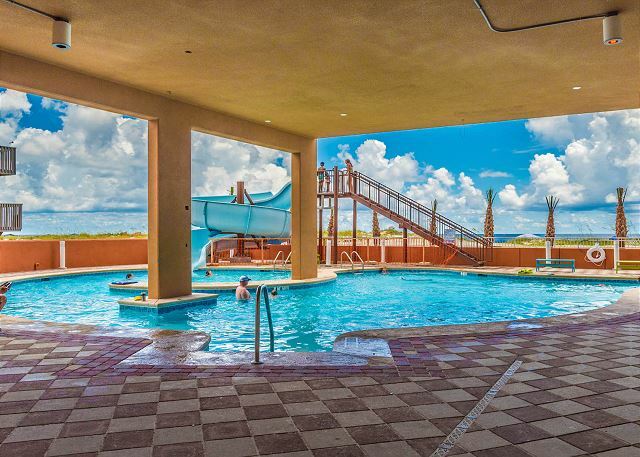 My husband, two children, and I just returned from a week-long stay at the Phoenix Gulf Shores, Unit 2202. 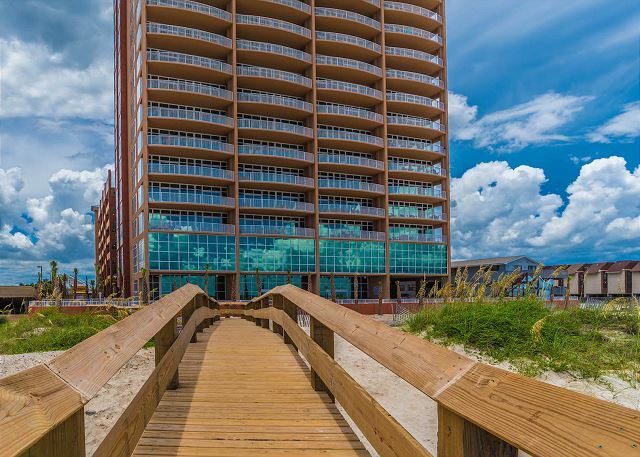 This brand new building and unit is gorgeously decorated and fully stocked with everything you need to enjoy your stay at the beach. Two qualities very important to me are cleanliness and safety, both of which exceeded my expectations. 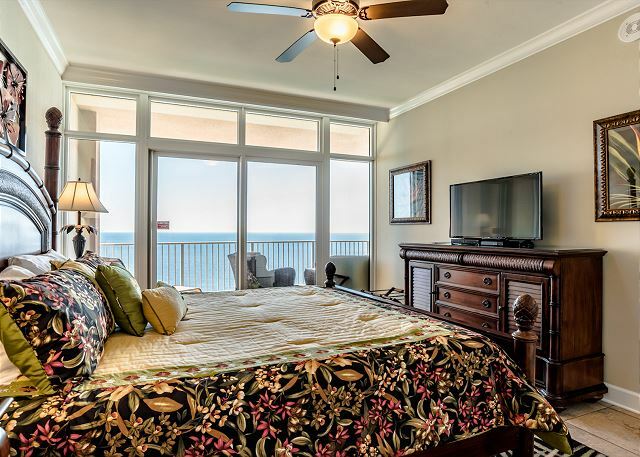 My favorite features were the floor to ceiling glass windows located in the Gulf front master bedroom and great room where we could look out and see the ocean and the huge balcony that is accessible from both the master bedroom and the great room. 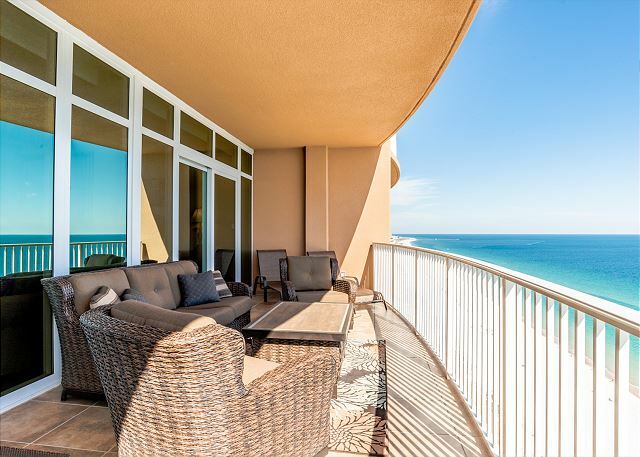 There is plenty of balcony furniture to sit outside and enjoy lunch or dinner while listening to the sounds of the ocean. The unit is spacious enough that you can travel with a couple of other families and yet all have your own space. All four of us enjoyed the hot tubs, and indoor and outdoor pools. Our boys LOVED the slide at the outdoor pool. 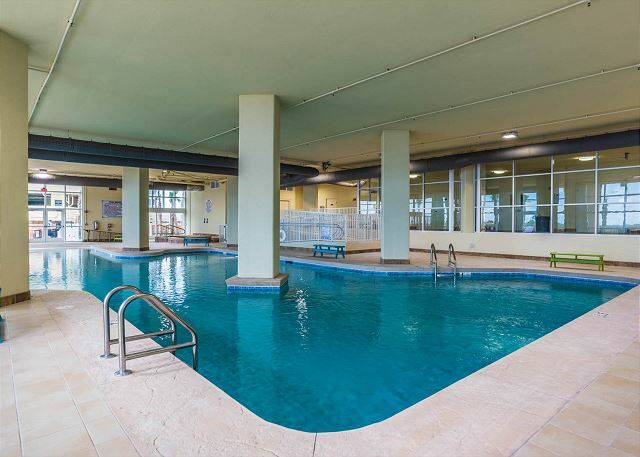 The building also has an exercise room, tennis courts, and poolside grills. 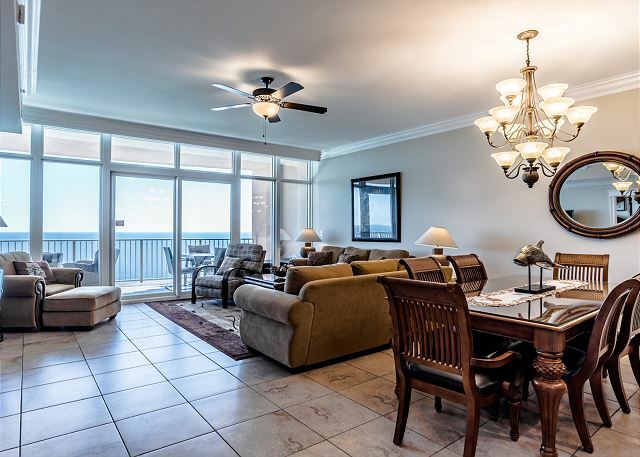 It is truly beachfront with the sand just a few steps from the pool deck. 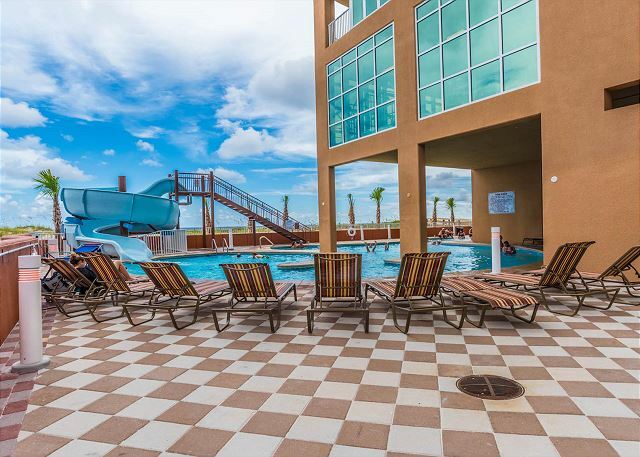 Phoenix Gulf Shores is centrally located to restaurants, groceries, and activities for children such as putt-putt, arcades, go karts, and the zoo. We will definitely be back!